There is now and Ap called fish4all available for both android and iphone. 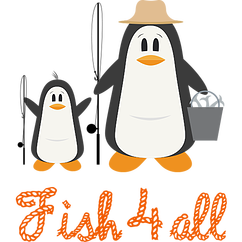 Just go to the ap store appropriate to your phone, and search for fish4all to give it a try. This ap allows you to record your catch, and if enough people use it, will give advocates working on your behalf useful information to take into fisheries management discussions. We align with LegaSea in wanting more fish in the water, and there are many factors involved in making that happen. Knowing what we take will help us build more effective management. Sometimes recreational fishing is a significant influence, sometimes not. Sometimes commercial fishing is a significant influence, and most often there are many factors at play, including effects of land based activities through run off and rubbish, competition with other uses (like marine farming) can be significant. So having good information on recreational fishing effort is not a magic bullet in fisheries management, and it can add significantly to improving outcomes for recreational fishers in many fisheries. So please give the ap a try.